As the world's leading equipment supplier to hard disk drive (HDD) manufacturers for the production of thin film magnetic heads (TFMHs), Veeco is committed to driving down costs and increasing innovations to enable even higher areal densities—the amount of data that can be stored. Found in devices ranging from laptops, to netbooks, to digital video recorders, to PDAs, to GPS systems and more, hard disk drives are a crucial component of many advanced products. Veeco provides the strategic partnership that enables customers to take advantage of new applications, with the largest knowledge base, the greatest breadth of process equipment solutions and worldwide reach. 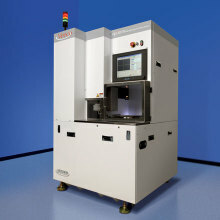 Count on Veeco ion beam etch and deposition, physical vapor deposition, and lapping and dicing equipment to enable higher data storage, while improving yield and uniformity. Veeco is the industry leader driving HDD manufacturing to new levels of productivity. 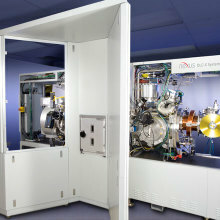 Etch precise, complex features for high-yield production of discrete microelectronic devices and components with the NEXUS® Ion Beam Etch (IBE) Systems. 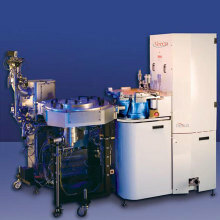 Create ultra-precise, high-purity, thin film layer devices with maximum uniformity and repeatability with Ion Beam Deposition (IBD) Systems. 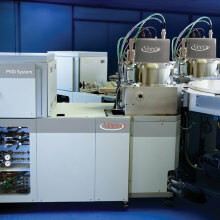 Veeco's Physical Vapor Deposition Systems offer maximum flexibility for a wide range of thin film deposition applications. Deposit dense, uniform, and repeatable thin, diamond-like carbon (DLC) films for longer-lasting TFMH slider overcoats and landing pads with Veeco's NEXUS DLC-X System. 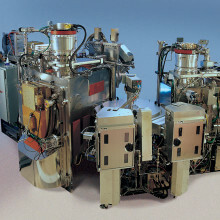 Veeco's Chemical Vapor Deposition Systems allow the conformal metal deposition process to enable next-generation TFMHs. 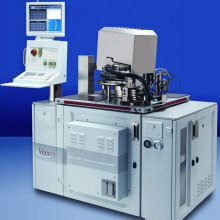 Veeco's dicing and lapping systems deliver high-productivity dicing solutions for a broad range of applications, such as read/write recording heads, LEDs, solar cells, microelectronics, and photonics. 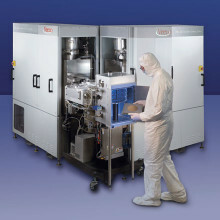 Veeco's high-precision hard disk head lapping systems provide maximum control of critical thin film dimensions and are designed for easy integration into automated back-end processing.